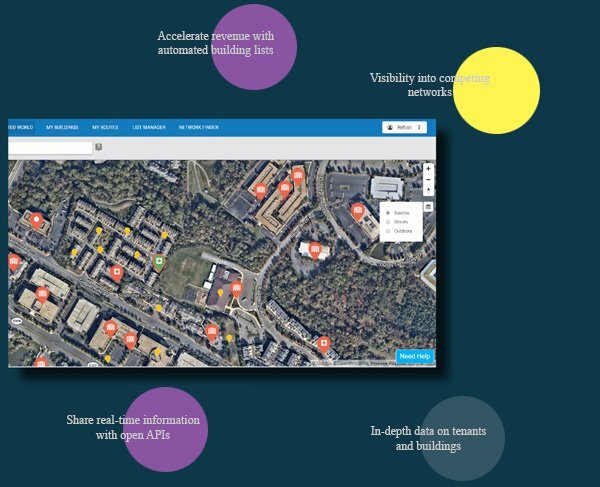 Connected2Fiber’s Network Finder capability enables users to search any US commercial location and instantly retrieve detailed, accurate data on the network service providers that serve that location – from the Local Exchange Carrier (LEC) and cable company to OnNet and NearNet fiber providers. 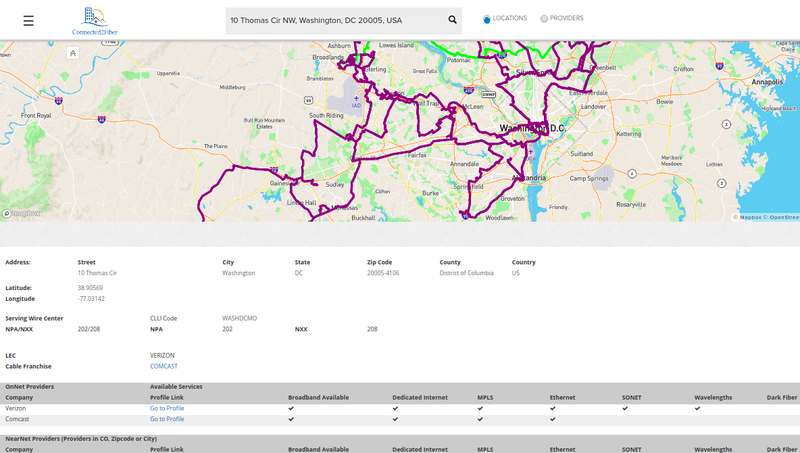 With over 2,000 US network operators profiled, Network Finder is the most trusted repository for accurate network data available. 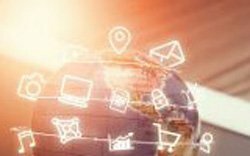 The telecom industry has been a largely behind the scenes enabler to the advancements in other industries. 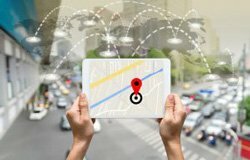 Access to current location intelligence has become the number one priority of the telecommunications industry. Connected2Fiber is a SaaS platform for market participation in the network industry helping network owners and network buyers drive growth.